A UFO shaped like a triangle of lights has been caught on camera flying above San Diego. The phenomenon has become known as 'Black Triangle' sightings because of their dark shape. 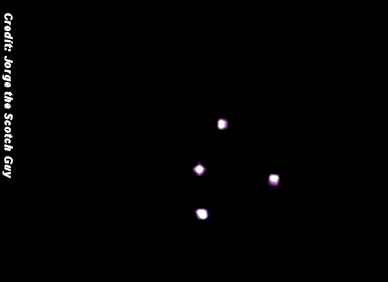 The video, which has been shot during the night, clearly shows a formation of lights floating above someone’s house.